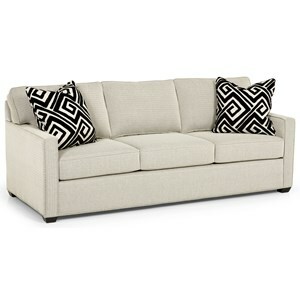 Give your living room a modern, updated look when you bring this sofa home. 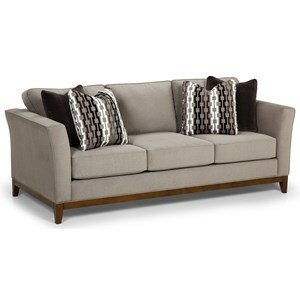 Track arms and tapered wood feet offer contemporary style to the piece. 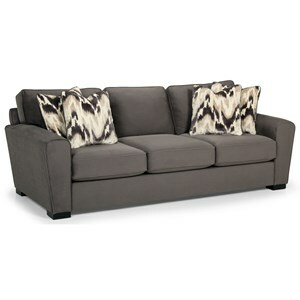 Thick seat cushions and attached seat backs will surround you in comfort, making it easy to relax at the end of the day. 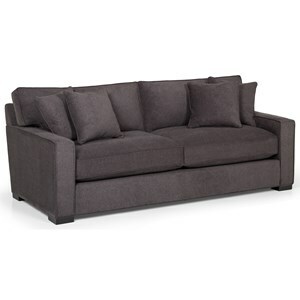 The 287 Contemporary Sofa with Track Arms by Sunset Home at Sadler's Home Furnishings in the Anchorage, Fairbanks, Sterling, Alaska area. Product availability may vary. Contact us for the most current availability on this product. 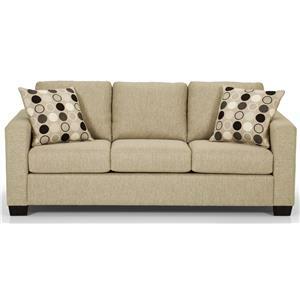 Update your living room style with this contemporary upholstered sofa collection. Track arms and tapered wood feet add simple detail to each piece. 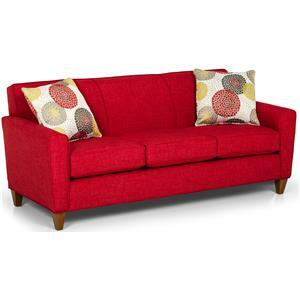 Thick seat cushions ensure that you will be able to lounge comfortable. Arrange the ideal living room for movie night with a sectional sofa or keep it simple with sofa, loveseat, and chair options. 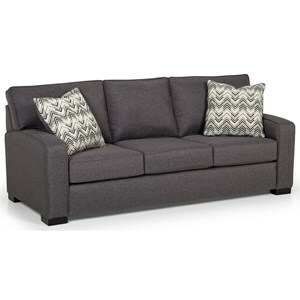 The 287 collection is a great option if you are looking for Contemporary furniture in the Anchorage, Fairbanks, Sterling, Alaska area. 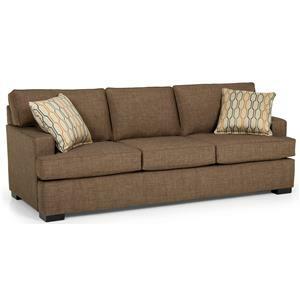 Browse other items in the 287 collection from Sadler's Home Furnishings in the Anchorage, Fairbanks, Sterling, Alaska area.